The year was 1990. I was a few months shy of my 12th birthday. After going to the African Street Festival in Brooklyn with my mom that particular summer, I became obsessed with ancient Kemet. This fascination was fueled by an emotional connection I felt with the paintings and statues I saw, but also my love for the rap group, X-Clan. 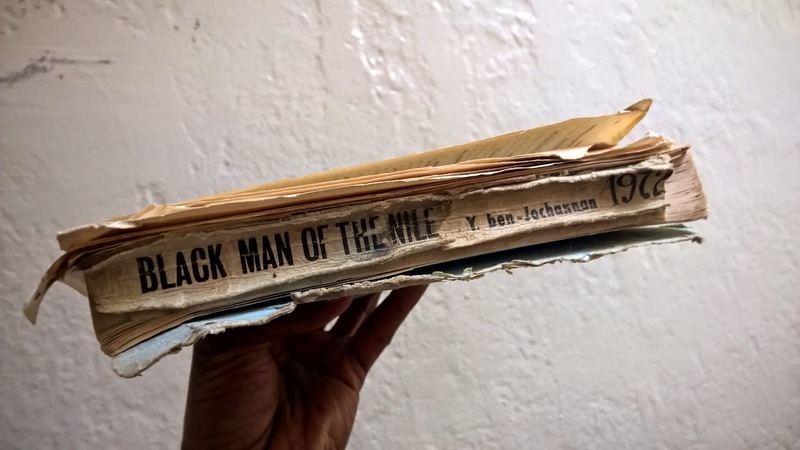 After asking my mom countless questions about “pyramids” the goddess “Isis” and “The Egyptian Book of the Dead” she gave me one of her books, which I still own to this day: Black Man of the Nile by Dr. Yosef Ben Jochannan, who is affectionately known to his students as Dr. Ben. This is the book that first introduced me to many subjects I have since explored in my own writings. 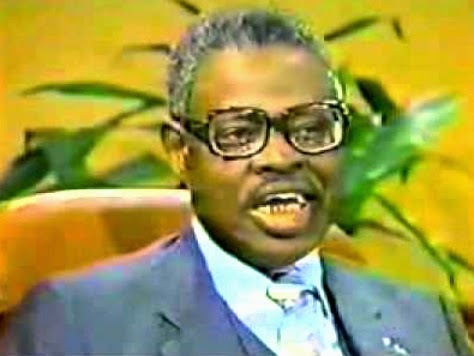 Not long after my mom gave me his book I heard an excerpt from one of his lectures on WLIB, a Black talk radio station. He was recounting the story of Ausar (Osiris) being murdered by his brother Set, and the ensuing battle that his son Heru had with the murderer of his father. As a child, The story sounded like an amazing comic book to me. I actually made my own comic out of loose leaf papers bound together by scotch tape shortly after hearing Dr. Ben. The comic was about a Kemetic magician who traveled into the future to battle the Anti-Christ in the final war of Armageddon. Don't laugh, I was a kid. In Black Man of the Nile I read about the African origins of the world’s Western religions as well as the Kemetic “Mystery Schools,” which many new age and Right-Wing Christian authors have since associated with the infamous “Illuminati.” My initial exposure to The Mysteries was through Dr. Ben’s book. I was deeply intrigued by what he had to say about it. I remember reading about the “Illuminati” years later, and how the African god Ausar was really Lucifer in books like Behold A Pale Horse and The Anti-Christ 666. These works are classic examples of cultural myopia,which is very prevalent in European assessments of Primary world cultures. Rather than examine the culture within its own cultural context, the near-sighted researcher studies it exclusively through the lens of HIS own cultural bias, which can only result in the reader having a distorted understanding of that culture. For a more lucid understanding of the Lucifer mythos, I highly recommend that you read my blog entry entitled “Sweet Djinn Music.” Hopefully, it will hold you down until you receive the opening chapter to one of my upcoming books. While reading many of the hysterical New World Order books years ago, my prior experience with Dr. Ben’s work made me ask myself a question that we must all inevitably ask of ourselves: in demonizing the ancient Illuminati are these white authors demonizing traditional African spirituality, which is essentially, at the very core of Black redemption and self-realization? The answer is yes. The word “Illuminati” simply refers to a group of enlightened individuals. If you are working to keep other people from realizing their full potential as emanations of divine intelligence, then you are definitely not enlightened, therefore you could not possibly be a member of the Illuminati. When you devote a lot of energy toward making people stupid and ignorant of their history and culture then many of them will actually become smarter than you in the process. You will always have a critical mass of men and women who will rebel against what they know doesn’t benefit them. The ensuing quest for dignity and divinity enhances their Glow and diminishes any light you once had in the process. If you’re a smart motherfucka who possesses the drive and integrity to work with other men and women who are also smart motherfuckas—to achieve noble and worthy goals—then you all are in fact members of the REAL Illuminati. It doesn’t take a nation of millions to mold and shape the world. A handful of Illuminists will do just fine. You should feel personally offended when anyone speaks in condemnation of the Illuminati. It is your sacred order. For if we are not here on earth to resurrect ourselves back into a state of illumination then what are our lives really worth? Absolutely nothing. And the world will treat us accordingly should we lose sight of this truth. We are pro-Illuminati. That means no lames allowed. Respect light bearers with torches, lavishly laced in photonic shrouds. We’re the tastemakers who set trends, through priesthoods that move crowds. On March 19th, at 3:30 am Dr. Yosef Ben Jochannan, 97, ascended to the abode of the masters, stripping himself of the cloak of death. Let us lionize him in love and light. Let us rejoice in his powerful legacy as he is more alive now than ever. May his work be a greater influence to future generations than it was to those that came before.